Fremont CA, Arista Corporation is proud to announce a new addition to their fanless industrial grade computers range, wall mount BoxPC-138-H00. Likewise to their already established wall mount Box PC collection; this unit embeds excellent features including Intel Skylake Platform and 4K Triple Display. Moreover, this unit gives utmost ease of operation and installation. Arista is a leading manufacturer of industrial computers and displays, panel PCS, industrial grade thin client, and embedded computers. To add more,Arista strives to deliver best quality products with all essential technical specifications. Most of all the BoxPC-138-H00 unit is compatible with windows operating system including windows 7(as it is the most popular one). Furthermore,Box PC-138-H00 embeds latest technical features and complies with industry standard regulations for extreme work conditions. BoxPC-138-H00 is your probable and best bet for the complex workplace environment and offers utmost durability and operating ease. Support virtual screen 4K triple display. Upto 32GB DDR4 expandable memory. 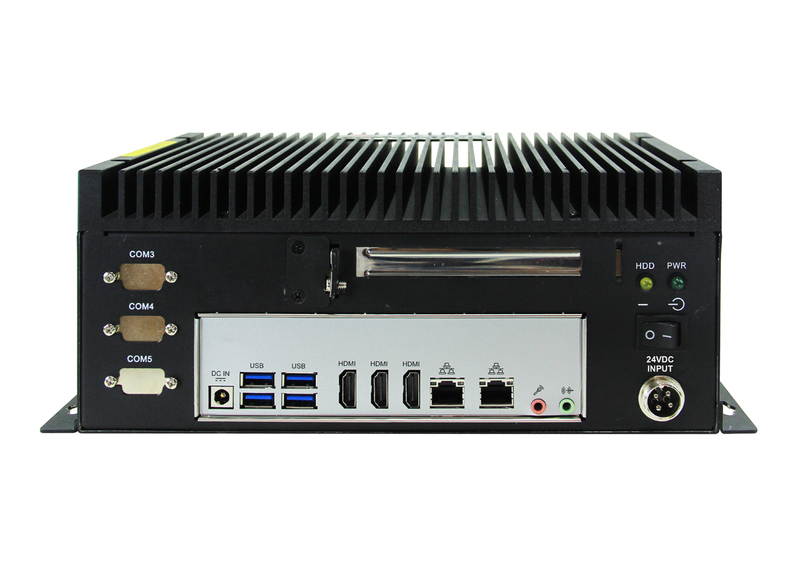 Moreover, Industrial fanless unit BoxPC-138-H00 comes with the SATA HDD storage option,Intel Skylake platform,4K triple display and can be easily mounted on wall. Another exciting feature is the built in support multi monitor functionality. Thus allow users to have an interrupted work environment and maximum productivity. Moreover, for all kinds of software requirements Arista has partnered with some of the leading names listed below. Founded in 1994, ARISTA has always been a service-centric company,in addition focuses greatly in the development and manufacture of high-quality, high-performance industrial computing platforms for industrial automation applications. Most off all, Arista team works very closely with partners to provide complete solutions for a wide array of applications across a diverse range of industries. Additionally,Arista posses years of experience and expertise in Industrial Panel PCs, Industrial Monitors, Box PCs & Fanless Embedded Computers, Rack Mount Computers, ACP Thin Manager Ready Thin Clients, Embedded CPU Boards and Video Extender/Switches. Arista is continuously serving customers with reliability, Integrity and Trust. To know more about other products click here.